On June 11, 2014, the commercial television-station RTL Klub launched an offensive of negative news against the Orbán administration just hours after the National Assembly approved Fidesz-sponsored legislation to tax advertising revenue. Fidesz designed the progressive tax so that RTL Klub—one of the two most popular television stations in Hungary and the country’s biggest generator of advertising income—would pay an estimated 63 percent of the total amount of government revenue from the tax in 2014 (see Black Screen of Protest). Although RTL Klub had gone to great lengths to avoid offending Fidesz before the party adopted the tax on advertisng revenue, the Orbán government has long wanted to curtail the popularity of the German-owned station, which broadcasts mainly action movies and cheap serials, as a means of increasing the viewership of the state-run television stations, which broadcast mainly pro-government news and Hungarian culture. Fidesz National Assembly Caucus Deputy Chairman Gergély Gulyás said that imposing the bulk of the tax on RTL Klub is justifiable on the grounds that the station “causes great social harm,” referring to the levy as a type of sumptuary tax (egészségügyi termékadó)—that is, a sin tax (source in Hungarian). Screenshot from RTL Klub June 11 broadcast. Subject: The enormous wealth that businessman Lőrinc Mészáros—the mayor of the village of Felcsút where Viktor Orbán grew up and a personal friend of the prime minister—has attained since Fidesz returned to power in 2010 (source in Hungarian). 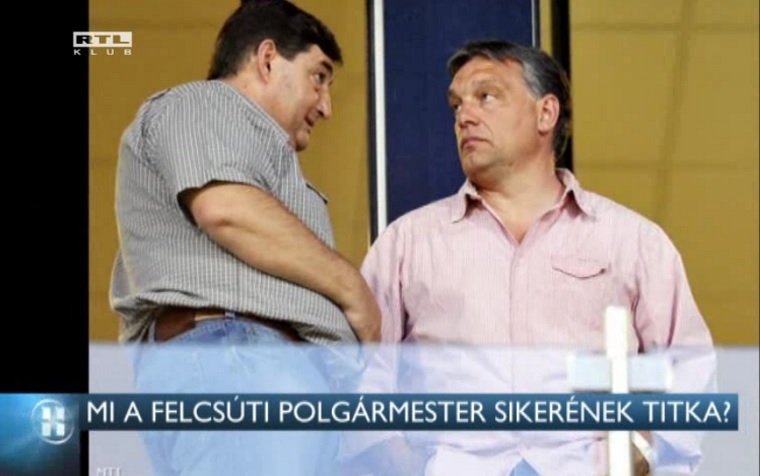 Claims: The Felcsút mayor’s company, Mészáros and Mészáros, has generated a 500-fold increase in revenue since 2006, making him the 88th richest man in Hungary; that he won more than 1,000 hectares of land in state tenders in 2011 and 2012; and that his friends, relatives and business partners won licenses to operate National Tobacco Shops at 19 of the 21 Auchan supermarkets in Hungary under the state monopoly on the retail sale of tobacco that the Orbán administration imposed in 2013. Quotes: “No doubt almighty God and the person of Orbán Viktor have played a role in my getting to where I am today” (from interview published in the pro-government weekly Heti Válasz). Screenshot from RTL Klub June 13 broadcast. Subject: The investigation that the Democratic Coalition opposition party has launched into state companies that have done business with the dolomite-mining company of Prime Minister Viktor Orbán’s father, Győző Orbán (source in Hungarian). Claims: Győző Orbán’s company, Dolomit Ltd, has paid dividends of one-billion forints since the start of the global financial crisis and had revenue of 1.9 billion forints in 2013. Subject: The appointment of the prime minister’s personal advisor on sports-related issues, Mihály Takács, to serve as the new director of the Ferenc Puskás Football Academy that Prime Minister Orbán founded in his home village of Felcsút in 2006 (source in Hungarian). Claims: Takács, who has been friends with the prime minster since they played football together on the FC Felcsút club, receives a salary of 650,000 forints per month as the prime minister’s sports advisor. Quotes: “Since April, it [the Ferenc Puskás Football Academy] has had a new stadium as well: the Pancho Aréna with seating capacity of 3,900, here in Felcsút, right next to Viktor Orbán’s summer home” (see One Man’s Plaything). Screenshot from RTL Klub June 16 broadcast. Subject: The lucrative state licenses that a company under the majority ownership of Hungarian-American film producer Andy Vajna, who serves as Orbán government commissioner in charge of renewal of the film industry (filmipar megújításáért felelős kormánybiztos), won to operate casinos in Budapest and Pest County. 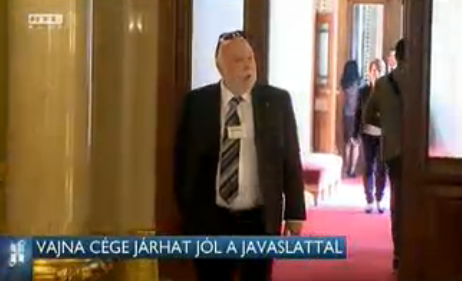 Claims: Vajna, who is primarily known for having produced the Rambo and Terminator movies, won five of the seven ten-year licenses that the government recently issued to operate casinos in Hungary though his company, Las Vegas Casinos. Subject: The inquiry that the National Investigative Office (Nemzeti Nyomozó Iroda), Hungary’s equivalent to the FBI, has conducted regarding the theft of two smart phones from Prime Minister Orbán’s daughter, Ráhel, during her September 2013 wedding. Claims: The National Investigative Office has spent 4 million forints to take DNA samples from 26 people as part of the probe, sixteen times the 250,000-forint market value of the phones. Screenshot from RTL Klub June 18 broadcast. 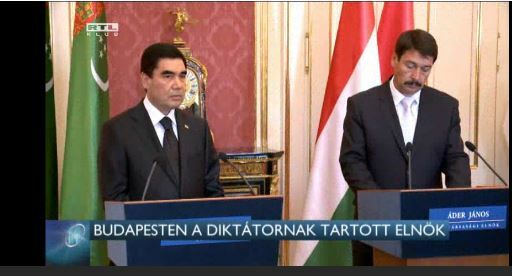 Subject: The official visit of President Gurbanguly Berdimuhamedow of Turkmenistan to Hungary (source in Hungarian). Screenshot from RTL Klub June 19 broadcast. Subject: The newly released wealth statement of the previously mentioned businessman and mayor of Felcsút, Lőrinc Mészáros (source in Hungarian). 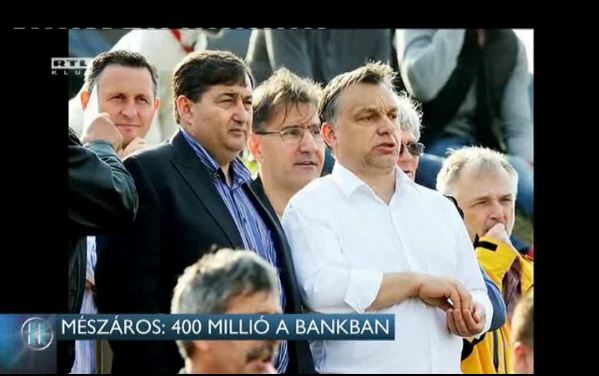 Claims: According to the wealth statement, the “former gas fitter” and “Viktor Orbán’s good friend” has 400 million forints in his savings account and 20 million forints in cash. The amount of money in Mészáros’s personal bank account has grown from one-million forints in 2011, 20 million forints in 2012 and 200 million forints in 2013. The statement furthermore indicates that Mészáros owns 40 separate pieces of land in Hungary. Subject: The emergence of evidence showing that Interior Ministry law-enforcement State Secretary László Tasnádi worked as a domestic-intelligence agent during the late communist-era. Claims: Tasnádi was present as an undercover agent at the ceremony marking the reburial of 1956 Hungarian Revolution prime minister Imre Nagy in Budapest on June 16, 1989 at which Viktor Orbán gave the speech that gained him national recognition and solidified his leadership over the newly founded Fidesz party (see Fill in the Blanks). In the opinion of the government, it is improper for RTL Klub to launch a campaign of revenenge because it has to pay taxes in Hungary. It is completely unacceptable that it wants to take revenge on the family members of cabinet members [a kormánytagok családtagjain] for this reason. 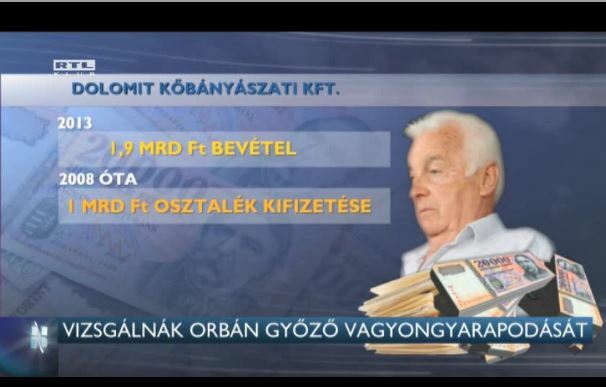 RTL Klub quickly responded to this statement, noting that it suggests that RTL Klub does not pay taxes, when in fact the station paid 8.9 billion forints in taxes last year (source in Hungarian). RTL Klub’s negative-news offensive signals first instance in which one of the popular news media in Hungary has expressed explicit and prolonged criticism of the Orbán government since it came to power in 2010. 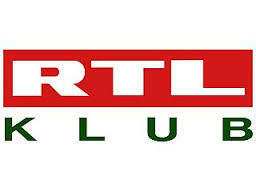 Moreover, RTL Klub has based its offensive not on abstract matters related to democracy and fundamental rights that interest very few people, but on an issue to which average Hungarians are extremely sensitive—that of gaining unfair access to wealth and power as a result of inside connections to government officials. The Orbán government has virtually ignored attacks of both types from opposition political forces and media, because it knows that essentially only a few thousand members of the Budapest liberal intelligentsia listen to them (see A Few Thousand Malcontents). However, the government is almost certain use every means at its disposal in order to neutralize the current RTL Klub negative-news offensive, including repressive measures that will serve to further dampen the voice of the independent democratic media in Hungary.